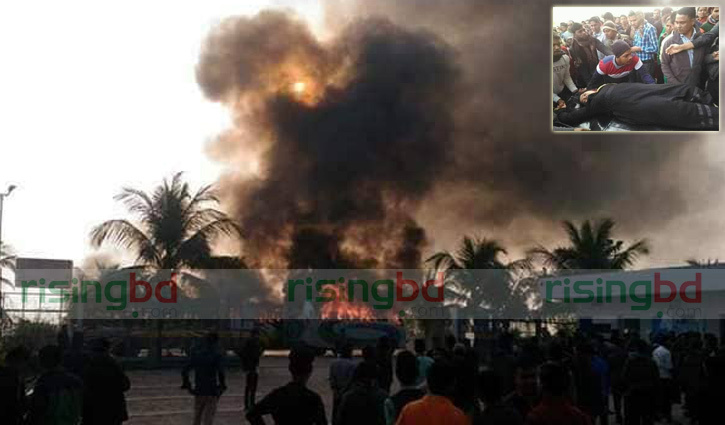 Staff Correspondent, Chattogram: Three people were killed when a bus rammed a CNG-run auto-rickshaw in the city's KEPZ road area on Saturday morning. The deceased were identified as – Abdul Latif, 50, Sultana Razia, 35 and Irfan, 27. Police and local sources said that a speedy bus carrying workers of KEPZ collided with a CNG-run auto-rickshaw in the area around 8:30am, leaving the two people dead on the spot and injured another one. Later, the injured died at the hospital. Confirming the matter, Karnaphuli police station officer-in-charge (OC) Imam Hasan said agitated people torched the bus after the incident.